Why Should We Care That Today Is The First World Wildlife Day? The United Nations is very good at proclaiming certain days of commemoration or celebration. We have days set aside for women, days set aside for AIDS and days set aside for mother languages. So why is it necessary to have a special World Wildlife Day? Well, World Wildlife Day provides the UN with an opportunity to place the spotlight firmly on the far-reaching impact of the US$19 billion illicit trade in flora and fauna. This illicit trade – the fourth largest in the world – includes elephant poaching, great ape theft and the illegal transport of timber. It is estimated that current trends of species extinctions are between 100 and 1,000 times higher than the naturally expected levels. In addition to the illegal trade, climate change - which is linked with the burning of fossil fuels - is also impacting many animals and plants and in myriads of ways. Polar bears in the Arctic are threatened by thinning ice, baleen whales must make longer journeys between their feeding grounds, and many migratory birds that rely on wetlands and lakes for food are increasingly facing water shortages. These changes could spell decline and even extinction for some species without an urgent transition of our economies and our lifestyles towards a low carbon economy. Meanwhile, wildlife crime continues to threaten the lives of rangers in their fight to stem the illegal tide. It is also often linked with the exploitation of disadvantaged communities, human rights abuses and other challenges to inclusive, sustainable development - including by jeopardizing livelihoods around the world. The illegal trade in wildlife - considered the fourth largest in the world after narcotics, counterfeiting and human trafficking - also has major implications for international peace and security. 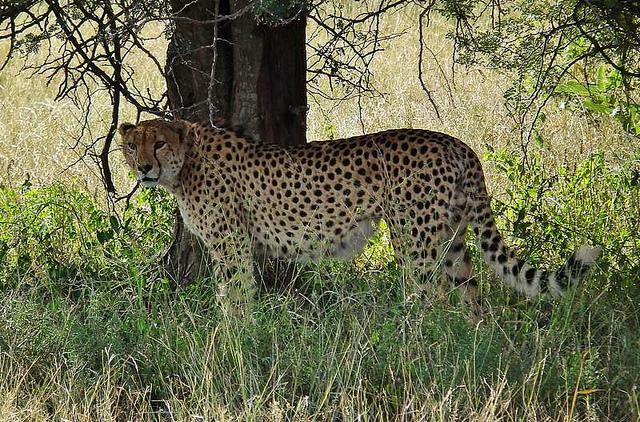 Wildlife is now trafficked internationally much like drugs or weapons, with criminals operating largely with impunity and little fear of prosecution. While environmental crime continues, World Wildlife Day is an opportunity for all of us to reconnect to this vital and urgent cause. According to a recent study by UNEP and partners, entitled Elephants in the Dust, the number of elephants killed illegally in Africa has doubled, while the ivory trade has tripled, over the past decade. 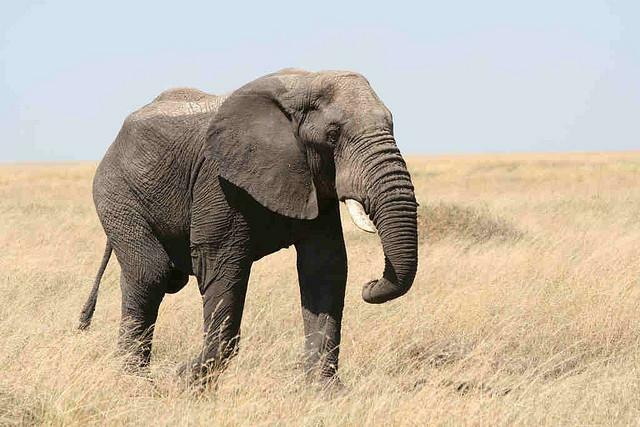 Increasing poaching levels, as well as loss of habitat, are threatening the survival of African elephant populations in Central Africa as well as previously secure populations in west, southern and eastern Africa. Demand for illegal ivory remains highest in the rapidly growing economies of Asia, particularly China. Large-scale seizures of ivory destined for Asia doubled between 2009 and 2013. Weak governance in source, transit and destination countries is also contributing to the problem. Data from the Convention on International Trade in Endangered Species (CITES) monitoring programme "Monitoring the Illegal Killing of Elephants" (MIKE) showed that 17,000 elephants were illegally killed in 2011. MIKE covers areas home to around 40 per cent of African elephants, meaning that the true findings may well be even higher. The number of African elephants illegally killed in 2012 is estimated at 22,000, and preliminary indications show that the number may be even higher for 2013. Besides illegal killings, elephants are also threatened by the increasing loss of habitat in around 29 per cent of their range areas - primarily as a result of human population growth and agricultural expansion. According to Elephants in the Dust, this figure could rise to 63 per cent by 2050, posing a major threat to the long-term survival of the species. CITES estimates that the number of rhinoceroses poached in South Africa rose from 13 in 2007 to 448 in 2011, with a demand that continues to grow. Such demand comes principally from Asia, with the major destination appearing to be Vietnam. According to CITES, increasing levels of demand have been fueled by rumours of rhino horn being a cure for cancer. The horn is also used as a recreational drug in the form of "rhino wine", which is rumoured to improve male sexual performance, and to clean the body of toxins. 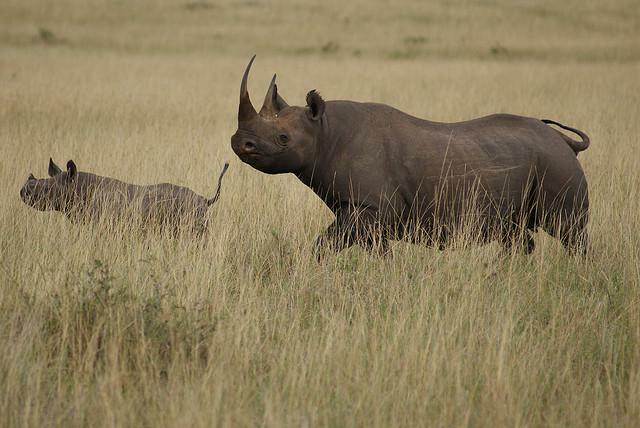 None of these uses of rhino horn are recognized in traditional medicine. There are five species of rhino. The Javan, Sumatran and Indian rhinos are found in Asia; the first two are considered critically endangered and Indian rhinos are considered vulnerable by the IUCN's Red List. The Javan subspecies of rhino in Vietnam was declared extinct by the WWF in October 2011. In Africa as of 2012, the number of black rhinos in the wild is estimated at 5,000 individuals and that of white rhinos at 20,000. The western black rhino was also declared extinct in November 2011. 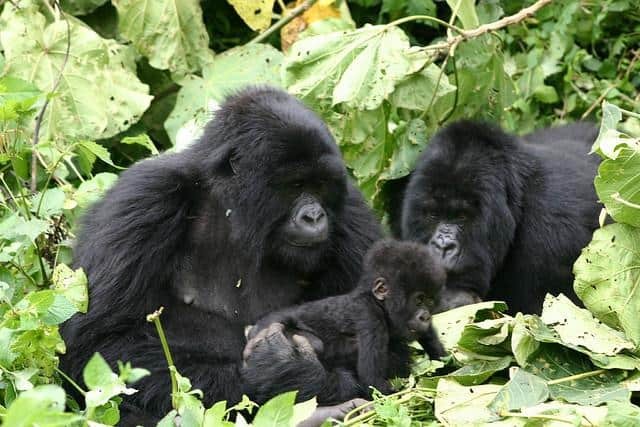 A UNEP study showed that almost 3,000 live great apes are being taken from the forests of Africa and Southeast Asia each year, with main markets including the tourist entertainment industry, disreputable zoos, and individuals who wish to buy great apes as exotic pets. According to the report Stolen Apes: The Illicit Trade in Chimpanzees, Gorillas, Bonobos and Orangutans, a minimum of 22,218 great apes have been lost from the wild since 2005 – either sold, killed during the hunt, or dying in captivity. Chimpanzees comprise about 64 per cent of that number. The report also estimates that, over the past seven years, a minimum of 643 chimpanzees, 48 bonobos, 98 gorillas and 1,019 orangutans are documented to have been captured from the wild for illegal trade. These figures are just the tip of the iceberg, and extrapolating from this research the report estimates that at least 2,972 great apes are lost from the wild each year. Research by UNEP and INTERPOL estimates that between 50 and 90 per cent of logging in key tropical countries of the Amazon basin, central Africa and south east Africa is being carried out through organized crime, threatening efforts to combat climate change, deforestation, conserve wildlife and eradicate poverty. Globally, illegal logging - worth between US $30 - $100 billion annually - accounts for between 15 and 30 per cent of the overall global trade. 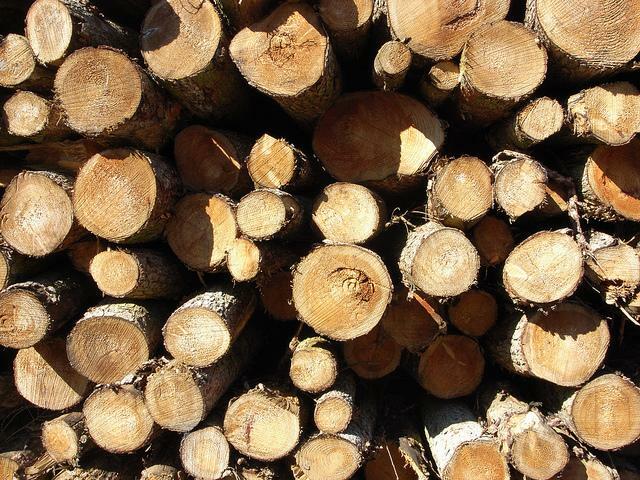 The trans-national nature of illegal logging raises difficulties for law enforcement and regulators, who are often limited in their ability to work outside of their jurisdiction.